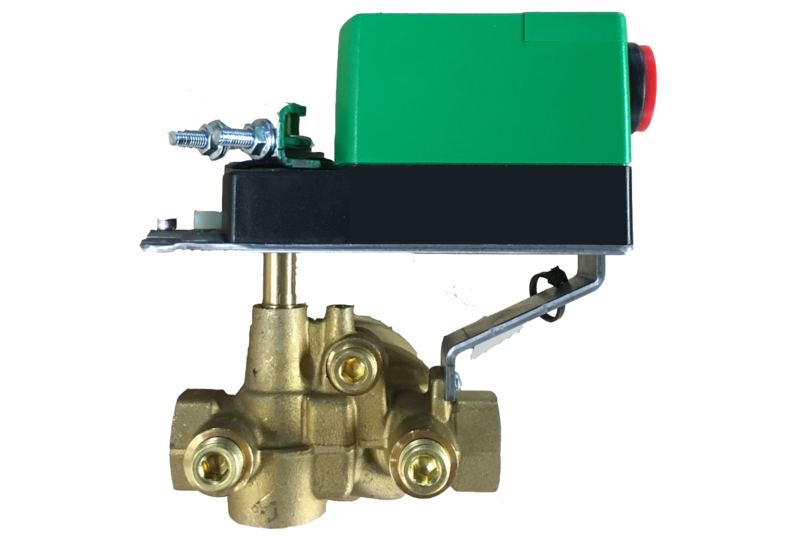 DeltaPValves installed at cooling and heating coils in the distribution system will stabilize system flow, improve comfort and reduce energy consumption. 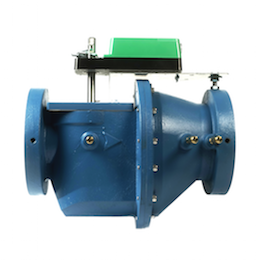 Control heat exchanger flow in district energy transfer stations with the DeltaPValve®. With precise temperature control, stop wasted energy and simplify control strategies and complexity. 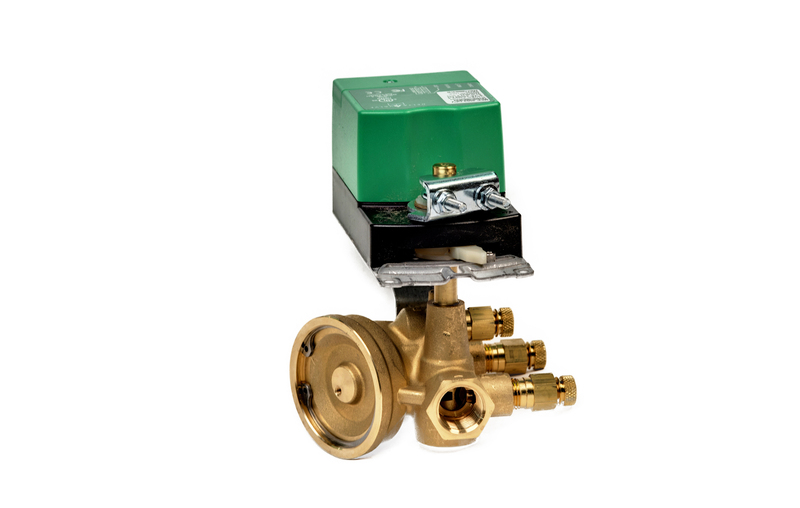 Use DeltaPValves in a heating water system served with condensing boilers to achieve the lowest possible return water temperature, while still minimizing pump energy. 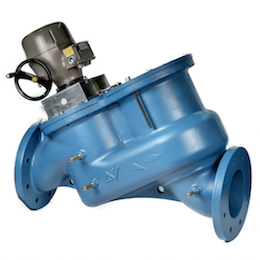 The unique design and low internal differential pressure allows the DeltaPValve® to achieve tight close-off, meeting ANSI Class III and IV leakage standards (0.1 % - 0.01 % of rated valve capacity). 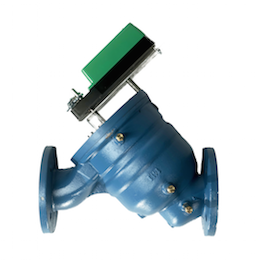 Actuators are selected appropriately for the torque required to achieve up to 200 PSID [13.8 bar] shut-off. All seals can be replaced in valves 3” [80 mm] and smaller without removal from the piping system. Valve flow characteristics can be modified in valves 8” [200 mm] and smaller without removal from the piping system. 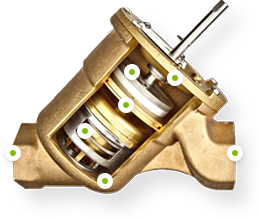 Introducing the DeltaPValve® 10-year warranty! 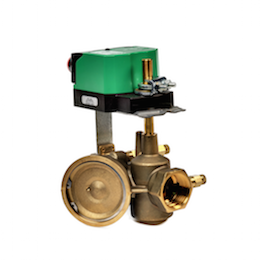 Beginning 2015, all 1/2” - 8” DeltaPValves will be covered by a 10-year warranty. We always put quality first. We disagree with short - term solutions, and we are confident in the quality and performance of the DeltaPValve®. We have experienced less than 1% valve failure for all customers, and we’re ready to prove how the DeltaPValve® delivers a lower total cost of ownership than any other control valve on the market. 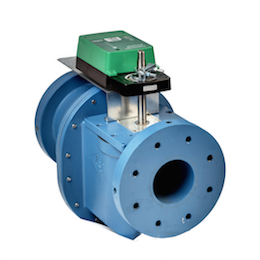 All DeltaPValves are factory assembled and shipped complete with actuators. We offer different actuation types for specific applications, including electric and pneumatic, and both fail-safe and fail-in-place operation. 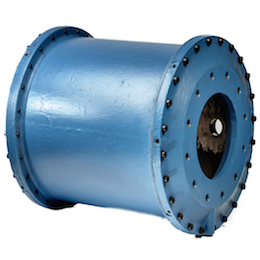 Actuators from most major manufacturers are acceptable. Please contact the factory for more information on actuator options or for specific requests. We have an OEM with KMC for our ½” - 4” valves, but work easily with others. 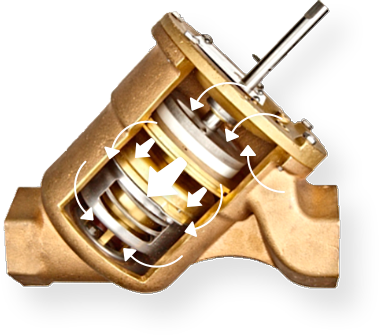 The DeltaPValve® is manufactured and assembled in Woodinville, Washington, and meets the Buy American requirements in Section 1605 of the American Recovery and Reinvestment Act of 2009 (ARRA). 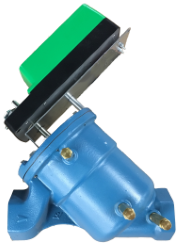 The DeltaPValve® can be used for control with chilled water, heating water and glycol fluid systems. Orientation can be horizontal or vertical, with the recommendation to keep the stem and actuator above horizontal. There are no requirements for straight pipe lengths before or after a DeltaPValve®. Body: Valves 2” [50 mm] and smaller have brass bodies with female NPT connections. Valve bodies 3” [80 mm] and larger are ductile iron. Internal Components: All internal components are high quality brass, carbon steel, stainless steel or Teflon. No plastic internal parts are used. Inlet, intermediate, and outlet P/T ports are vital to verify pressure independent operation, validate flow rates, confirm valve shutoff, and troubleshoot system issues. 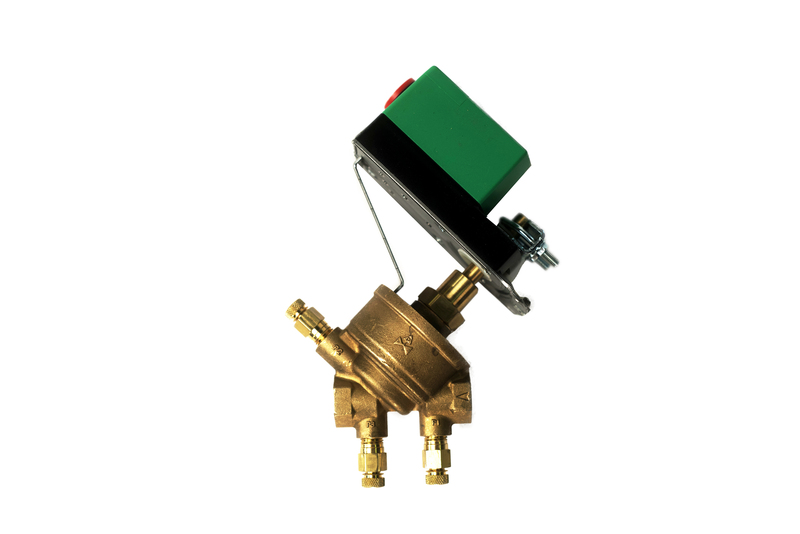 The DeltaPValve® is the only pressure independent valve with 3 P/T ports.